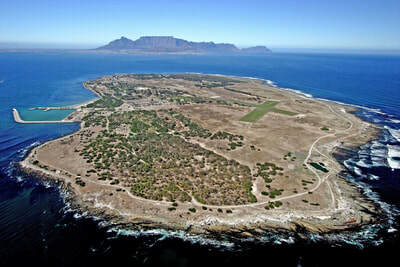 ​The best way to find your bearings in the Mother City and to take in the major sights is with Cape Town Day Tours and the exclusive Warren Marks Cape Town All In Experience. In just 9 hours Cape Town Day Tours will make you feel like a born and bred Capetonian, sharing their knowledge that even many locals do not know. Leaving from your hotel with one of the most experienced tour guides in Cape Town this exclusive Cape Town Day Tours adventure heads straight for Table Mountain. The comfortable vehicle cruises through the streets of Cape Town and arrives at the foot of the famous flat-topped mountain. Weather permitting you and your guide climb onto the Table Mountain Cableway and the ascent of the most iconic mountain in the world begins. With amazing views, your guide will point out the sights, some of which you will visit later in the day, and let you soak up one of the best views anywhere on earth. With time at the summit for a walk around and to meet a few Dassies (related to the elephant believe it or not) there will be a host of photo opportunities. From all four corners of the flat top of the mountain, your guide will open up the vista below and the stories that Cape Town Day Tours are famous for will begin to make your exclusive tour extra magical. Before long it is time head back down Table Mountain and let the Cape Town adventure continue. Back in the comfort of your air-conditioned vehicle, you will cruise towards Signal Hill. Standing from the spot where the Noon Gun is famously fired every day your guide will point you towards a close-up view of the V&A Waterfront, and in true Cape Town Day Tours Style, a few stories will be told. Whether these stories are fact or fiction one sometimes doesn’t know, but rest assured this is what makes the tour guides from Cape Town Day Tours so special. Back in the comfortable car with more hidden secrets of Cape Town being shown, this exclusive Cape Town Tour heads into the heart of the mother city. Stopping off at the Company Gardens you will have time to stretch your legs and feel the energy that flows from the magnificent city. After a stroll in the gardens and perhaps a coffee or tea it is time to move on at a gentle pace. Heading around the corner from the Company Gardens you find yourself outside the South African Parliament Building. Of course, you can expect your guide from Cape Town Day Tours to have a chirp or two about the current wranglings and goings on in political circles and at the same time fill you in on the history of where you are. Driving on through the Mother City this exclusive Full Day Cape Town Tours takes you passed the many sights that the city has to offer. Passing the Castle of Good Hope and the Slave Lodge you soon enter the “Bo Kaap” known by many as the Malay quarter. 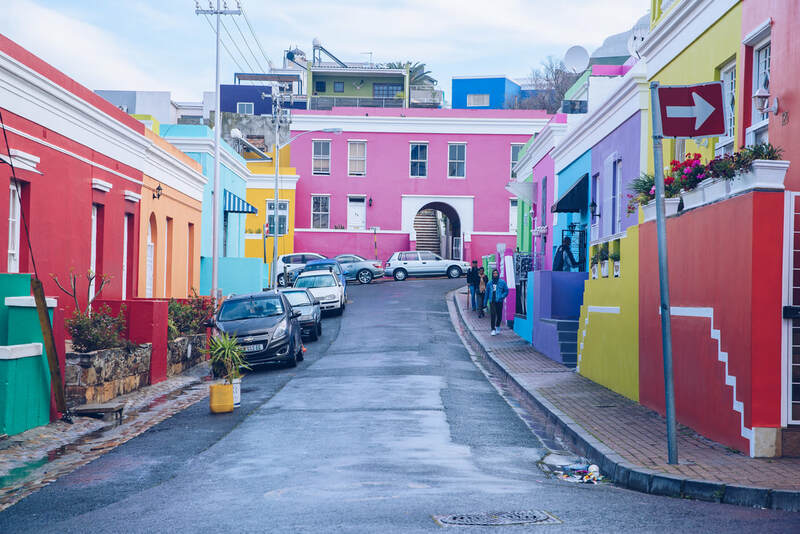 Here the architecture is the stuff of postcards and with Cape Town Day Tours your guide will explain the reasons why the area is as colourful as it is. 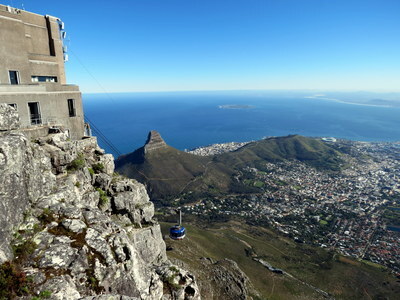 Once you have got under the covers of Cape Town and been to the top of Table Mountain, it is time to head out to sea. Departing from the world famous V&A Waterfront, the Robben Island Ferry races you across the ocean to the iconic Robben Island. Here the tour becomes even more exciting where you may even get the opportunity to stand in the cell where Nelson Mandela was held captive. The guided bus tour of the island is one of the best tours in the City. I will recommend this service to anyone who is mentioning they are going to our around Cape Town.